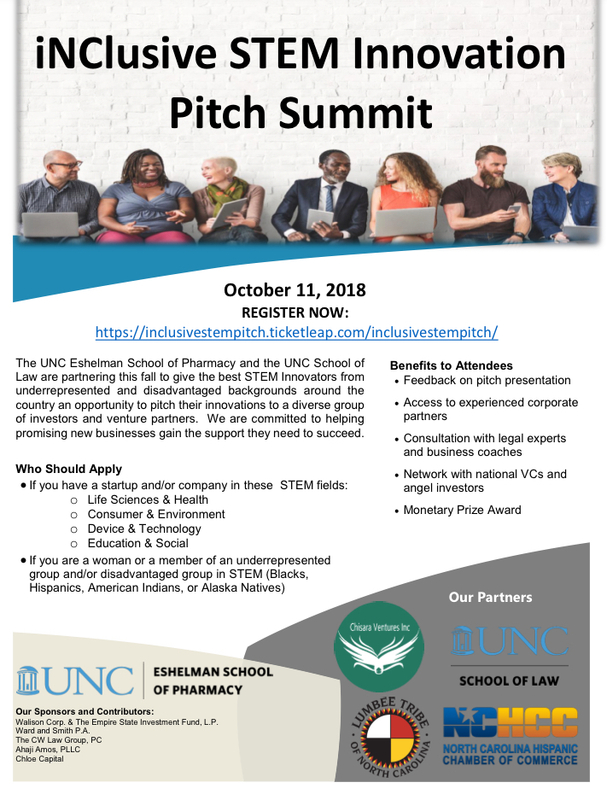 This groung-breaking event, the “iNClusive STEM Pitch Summit”, will be held October 11, 2018 and is intended to help bridge the funding gap and provide resources and coaching to minority STEM entrepreneurs. Throughout this one-day event, minority STEMpreneurs will be presenting in each of the four STEM arenas (Life Sciences, Human Health, Consumer and Technology and Engineering, Environment and Education), showcasing their businesses through various roundtables and receiving same-day feedback and coaching. A select group of STEMprenuers will pitch their business and innovations to a diverse panel of Angel Investors and Venture Capitalists for an opportunity to receive a capital investment.